College is a busy time for everyone. With schoolwork, studying, and work (if you choose to get a job during college), the amount of tasks you need to complete in one day can be overwhelming. I started my blog last March, but I really had trouble keeping up with it while finishing up the school year. I got more serious about it last summer because I felt like I had more time. Although I was working pretty much full time and doing two internships, I somehow had time to blog. It took time to balance all these activities, but once I got into a groove, I was golden for the rest of the summer. I have to admit, since school has started, keeping up with my blog has been a little more difficult. 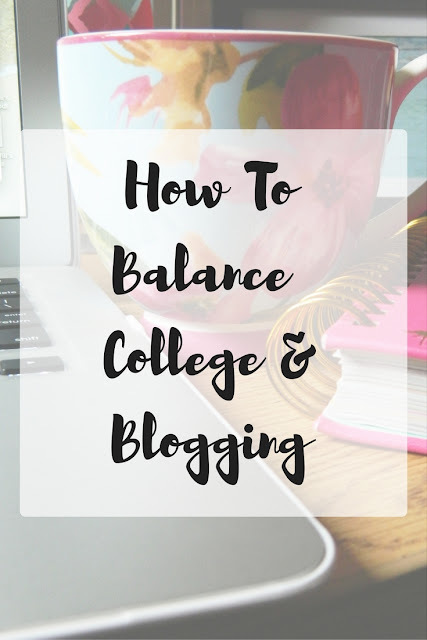 It definitely takes a lot of prioritizing and motivation to write a blog post after a long day of studying, but I've finally figured out how to effectively balance college and blogging, so that is what I'll be sharing in today's post! I've stressed the importance of planning before in other posts, but when it comes to balancing college life and blogging, planning is absolutely essential. I like to plan out my school work first, so I make sure to get that done first. Once I've scheduled in plenty of time for homework and studying, I schedule in time for writing posts, reading other blogs, editing posts, taking photos, engaging on social media, etc. It can be difficult to focus on schoolwork when you'd rather be blogging, but it's important to remember that school comes first. I always think about the fact that if I finish all my work, I'll get to work on my blog! This always keeps me motivating to keep working on homework. Taking photos in bulk saves TONS of time. For me, taking photos is definitely one of the bigger challenges that I face when blogging. I love to write, so I don't usually struggle too much with that part unless I'm having writer's block. I'm not a photographer, so taking photos can be stressful for me. I always want my photos to look as good as possible, so I spend a lot of time perfecting them. Taking just an hour a week to take all your photos for the week is an amazing idea. It's definitely harder to find time to take outfit photos in college, since this is a bit more involved. These are great photos to take in bulk as well, if you're willing to do a few outfit changes. Taking blog photos in bulk will save you from the stress of taking all your photos right before you start writing the post. It's important to decide what days you'll be posting blog posts. If you make this determination, you can start getting into a routine of when you can most productively write your posts without cutting into your studying time. Personally, I've kept my 3 times a week schedule. On Monday, Wednesday, and Friday, I put up a new blog post each week. I like this schedule because I always have a day in between to catch up if I need to. I always write in my planner the days that I'm posting, so I can check it off when it's been posted. Although having a blog schedule is important, it's also important for you to realize that it's okay if you miss a day. It's not the end of the world if you can't post one of the days you planned to. Even for bloggers who aren't college students, things come up sometimes. This can be really difficult sometimes, because blogging is undoubtedly more fun than doing schoolwork or studying. While it's important to spend time doing the things that you love, it's also important to put the majority of your effort into school. I'm not saying to dismiss your blog (at all), I'm just saying that school does come first. As hard as it is for even me to remember this sometimes, you have to think about the end result. Even if you hope to one day become a full-time blogger and earn a full time income from blogging, you'll still want that degree. Remember why you're at school in the first place. Another thing that can really help you with blogging in college is getting ahead with posts. If you know you have a busy week coming up in the next few weeks, write a few extra posts and schedule them to post on your set days. Personally, I knew the first week or so of school was going to be really hectic. Before the semester began, I wrote a bunch of posts and scheduled them to post throughout the first few weeks of school. I couldn't be happier that I did this, because I found that I was indeed correct. The first week of school was hectic. Readjusting to the workload, settling into classes, and getting organized kind of took over my life for at least a week. I had basically no time for blogging, but I still had new content going up because I prepared in advance! You can do the same thing during midterms, finals, or just a busy week in general! Personally, I like to keep a list of post ideas in the "notes" section of my iPhone, or use a cute notepad that I enjoy looking at. When I sit down to write a post, I usually can't think of something on the spot. I do all my brainstorming pretty much on the go. I'll randomly get inspired to do a certain post and then I just quickly jot it down on my phone and continue with my day. If you think you're going to remember the idea you had when you later sit down to write your post, you probably aren't. It's best to just keep a running list of ideas to look back on when you need inspiration. I almost always have my phone with me, so it's more convenient to keep my list on my phone since I likely don't have an actual notebook with me at all times. Balancing college and blogging can be a challenge. Always remember that it's okay to miss a post sometimes. It's okay to take a bit of time off. You are your first priority. I'd recommend sticking to your schedule as much as you can, but sometimes it just isn't possible. Don't beat yourself up if you're having trouble keeping up, just keep working at it! 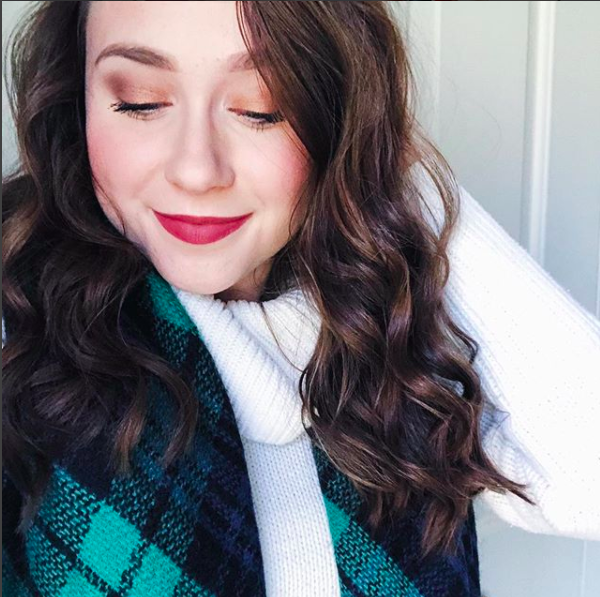 What tips do you guys have for balancing other commitments along with blogging? These are great tips it can get really challenging trying to balance all the work of both. I agree with you the best thing to do is plan ahead! It's all about planning! :) Thanks for reading girl! Thanks Jessi! Whether it's school or work, balancing anything with blogging can be quite a challenge:) I'll definitely check out the post girl, thanks! Great tips! I'm always so busy with college, I will definitely follow some of that tips and I totally agree about taking lots of photos at one time haha. Great tips! There was a while when I really slacked on my blog due to university and work load but I feel like a lot of these tips I put to use and it definitely helped! Fab tips! I definitely needed this post with college starting again! Great tips, I remember trying to balance blogging and college.